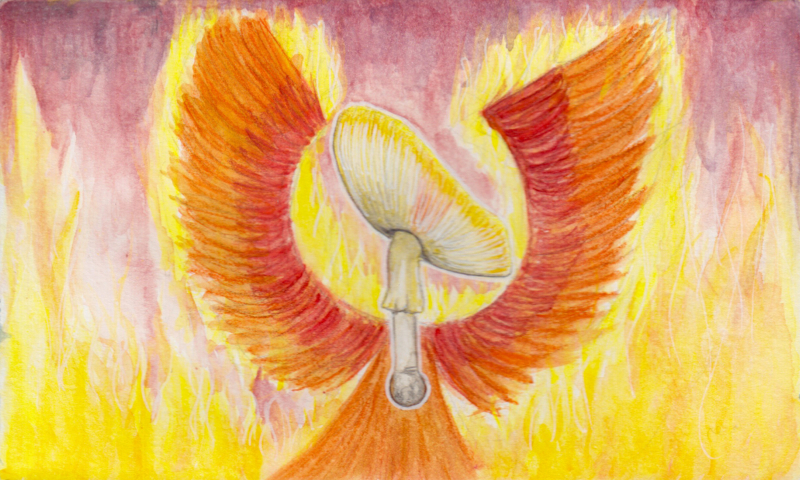 The next stage of the mushroom cycle is compared to the mythological Phoenix, a bird known to die by fire and to be reborn from its ash cyclically on its own. Some say the mushroom at this stage resembles the open wings of the bird and just like the bird, dies and is reborn again on its own. Interestingly, the phoenix was adopted as a symbol early in Christianity and its ability to die and be reborn again can be compared to resurrection.